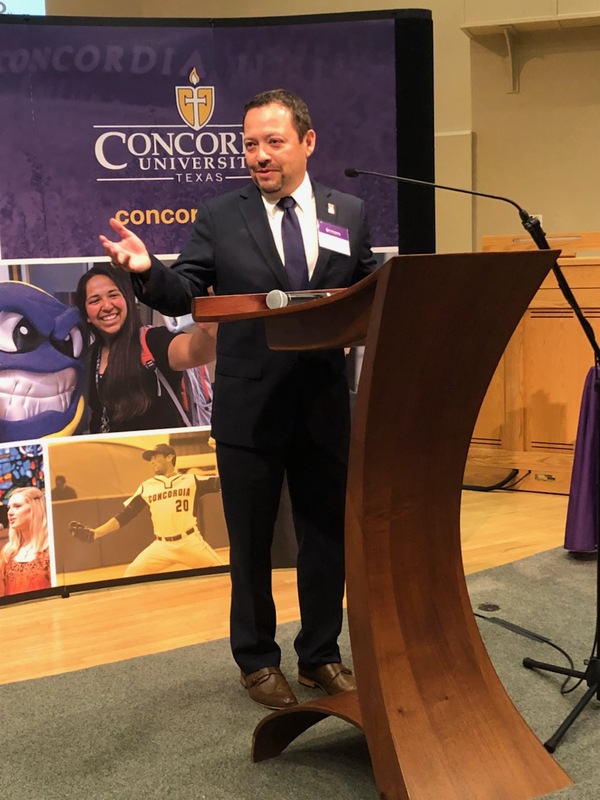 The Hispanic Association of Colleges and Universities’ Senior Vice President and Chief Operating Officer David Ortiz spoke at Concordia University Texas’ HSI celebration on January 16, 2019, in Austin, TX. HACU membership staff were also in attendance. The celebration marked the official designation as a Hispanic-Serving Institution by the U.S. Department of Education. Defined by the Higher Education Act as degree-granting institutions with Full-Time Equivalent undergraduate enrollments at least 25% Hispanic. In 2016, 492 institutions met the federal enrollment criterion, enrolling 2,075,317 Hispanics. Concordia University Texas is one of just 14 private, four-year institutions in Texas to earn HSI status. 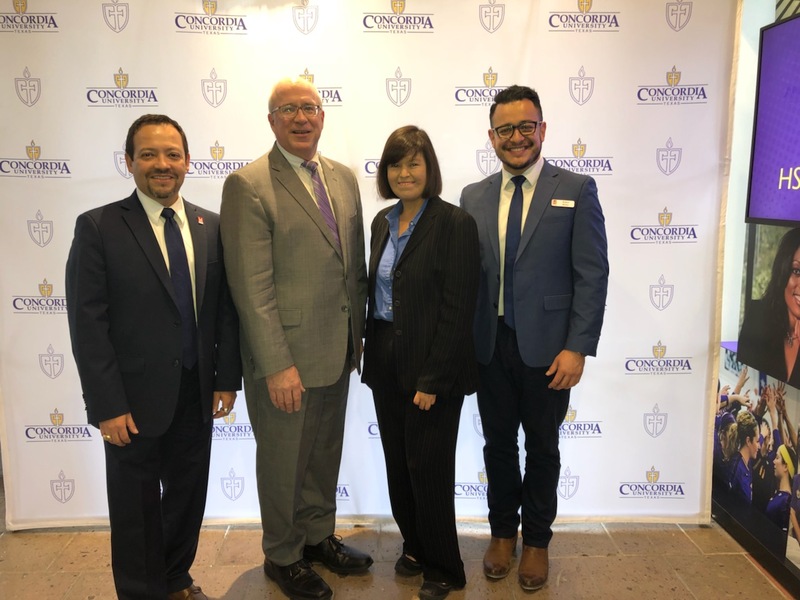 Other speakers include Texas State Senator for District 26, Jose Menendez, Texas State Representative for District 42, Richard Peña Raymond, Independent Universities and Colleges of Texas President, Ray Martinez, and Concordia sophomore Alejandro Salazar. Concordia University Texas is located in northwest Austin with remote university sites throughout Texas. For an HSI Fact Sheet, click here.